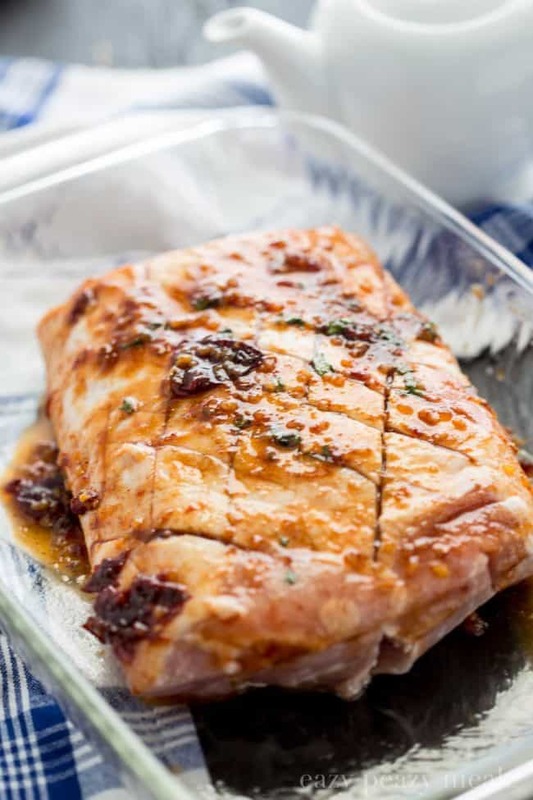 Honey Chipotle Pork Roast offers sweet heat along with ease and comfort. You guys, I absolutely love any meal that requires little to no effort on my part and still tastes amazing. And this Honey Chipotle pork roast hits the nail on the head in the convenient and flavorful department. You really can’t beat it. 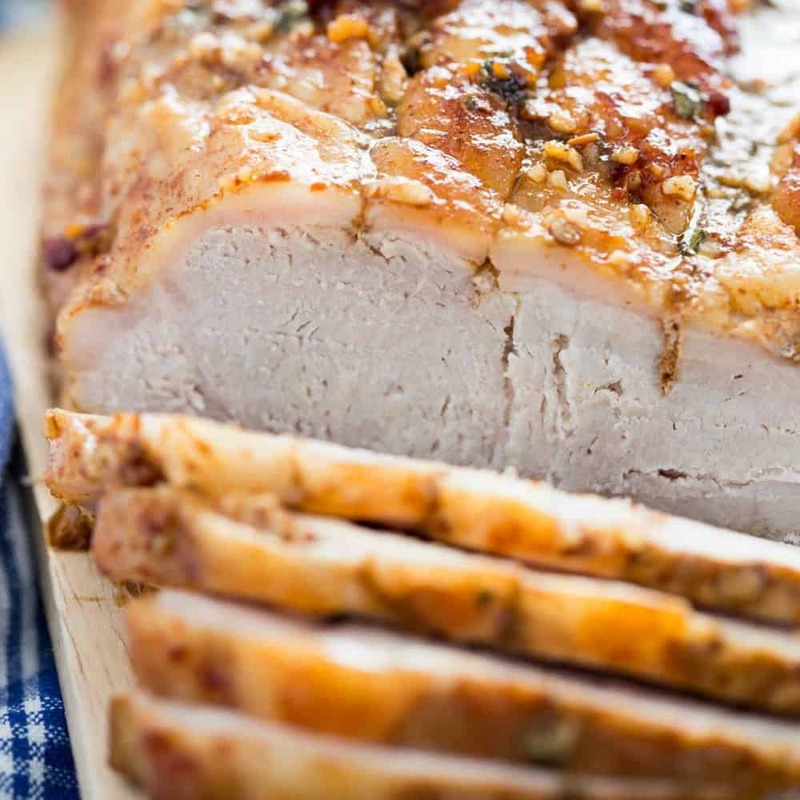 My go to recipe for pork roast is this island style pork tenderloin. However, one day I really wanted to mix things up and try something new. I had a bottle of chipotle, and that is a flavor I love, so I made a Blueberry Chipotle BBQ that rocked my world and opened my eyes to the possibilities. And then I went on a rampage of chipotle and something sweet over pork. I tried sauces, glazes, marinades, and more. And let me tell you, I loved them all. But this one is particularly good, and oh so easy. One of the reasons I love it is because it freezes really well. You can make up a batch of the sauce. Then freeze it with the pork roast. On the day you want to serve it, let it thaw, and cook. So easy. And only one pan gets messy. I love that all I have to do is put it in a pan and cook it! Doesn’t get much easier than that. And everyone in the family enjoyed it too! So I call that a win. 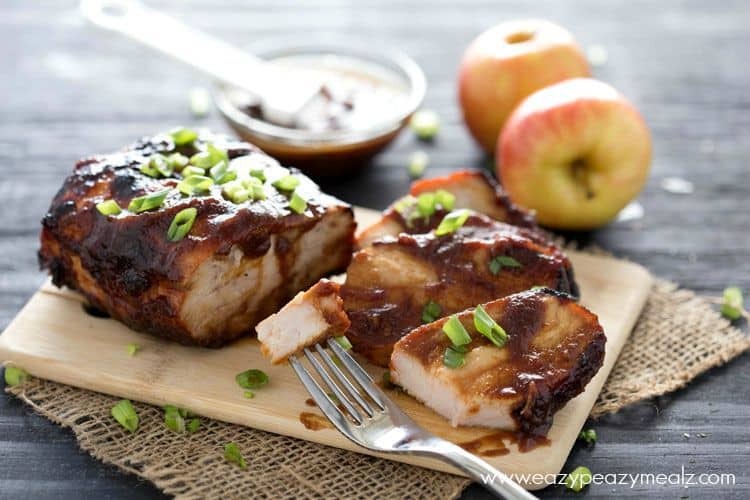 A sweet heat honey chipotle glazed pork roast. 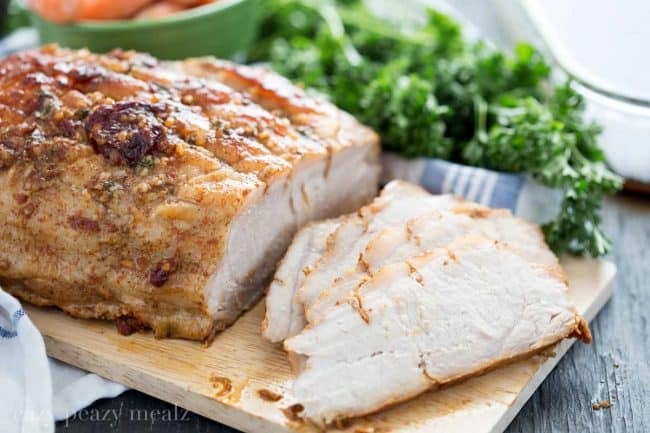 Place pork roast in a greased baking dish, white, fat cap side up. 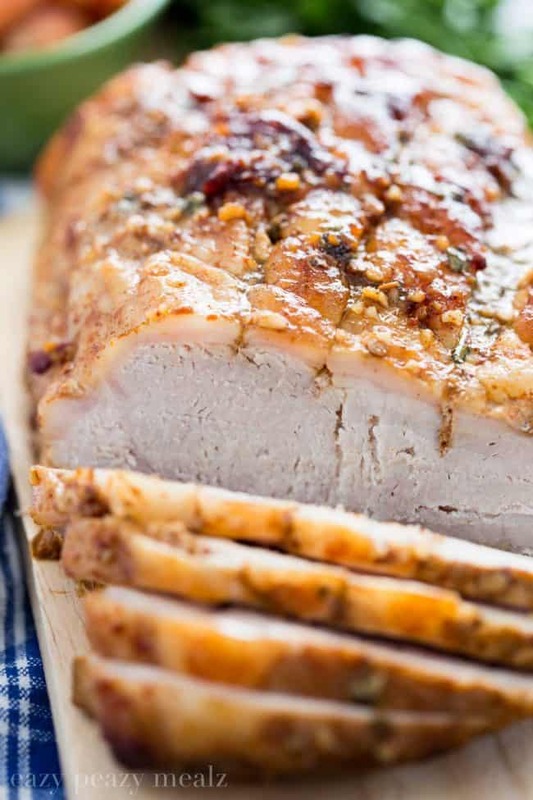 Using a knife, cut a criss-cross pattern into the top of the roast, through the fat layer. 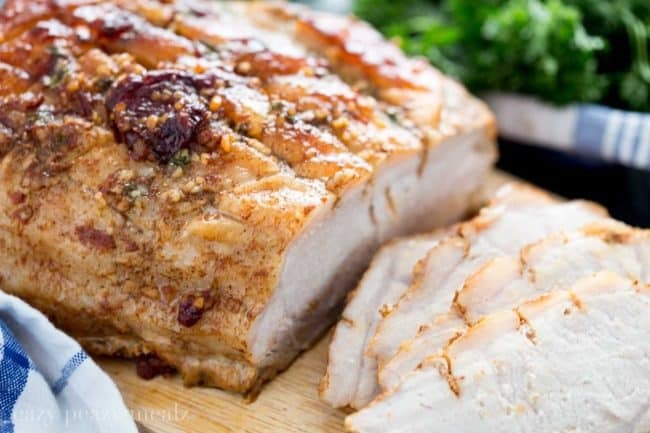 Cover roast with remaining glaze, and bake an additional 35-40 minutes until it reaches an internal temp of at least 145 degrees. Remove from oven and let it rest for 5-10 minutes. What store did you find that Chipotle sauce? I haven’t seen that one here and would love to try and find it. We all love the Chipotle flavor too! Meals I can prep ahead like this are my favorite. I don’t make pork roast often enough! Do you think this could go in a crock pot?